It makes sense that a warming planet would have warmer winters with less snow and more rain. But a new report points to how a disturbing trend of increased winter rain is actually endangering the year-round water supply in some parts of the US. A new Climate Central report out today examined 65 years of winter precipitation data in 42 US states. In every single region there was a decrease in the amount of precipitation that fell as snow, including some disturbing decreases in certain high elevations of the Northwest which depend on deep snow to replenish water supply. The biggest concern about warm winter precipitation is that it can bring about a disastrous phenomenon called "rain on snow" where rain falls on previously accumulated snowpack. Normally this happens in spring, when it's simply part of the hydrological process of breaking down the snow and moving it into streams that transport the water down to lower altitudes. But when it happens too soon, it melts the snowpack prematurely. And you want that snow to stick around for as long as possible so it melts slowly, releasing water into local streams long into the warm summer months. There are a lot of other reasons why rain that should be snow is bad. 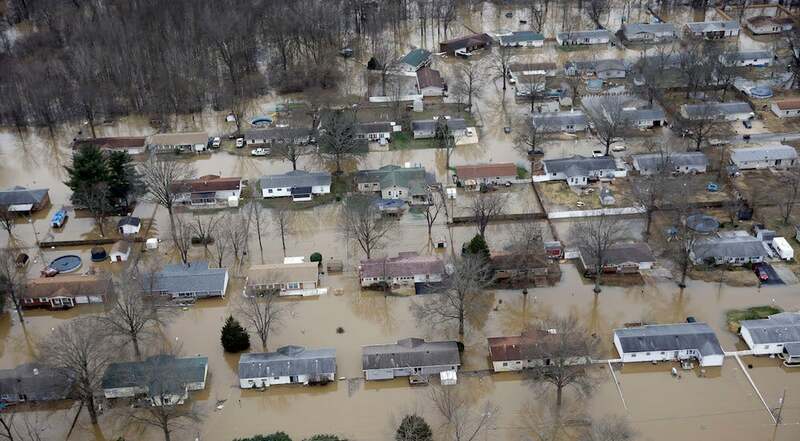 Too much winter rain can destabilise the ground, leading to more floods and mudslides. Stream flows can be disrupted by both too much and too little water, which messes with the habitats of fish and other wildlife. And less snow on the ground come spring means overall reduced soil moisture, leaving forests drier and making conditions more dangerous for wildfires. There as was a lot of talk about rain on snow this winter as part of the gamble of pinning drought relief on El Niño's warmer-than-average storms. 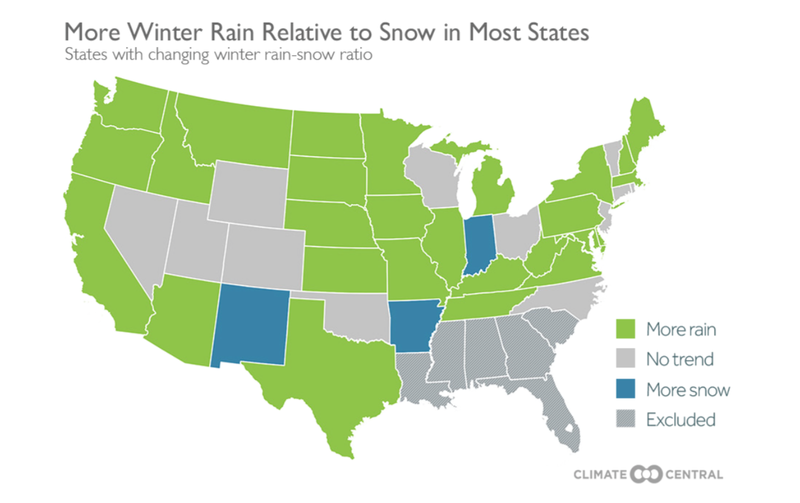 It's true that the El Niño-affected Northwestern states of Washington, Oregon, Idaho, and Montana saw the biggest increase in winter precipitation that fell as rain in this particular study. But it's unlikely that this is just a temporary El Niño thing, something you can easily see evidenced in the rapidly retreating glaciers of Glacier National Park over the last few decades. Since 1896, winters in the contiguous US have warmed by about 1.5C and as we've seen over the last few years, the planet has no immediate plans to cool down.